Happy Valentine's Day! 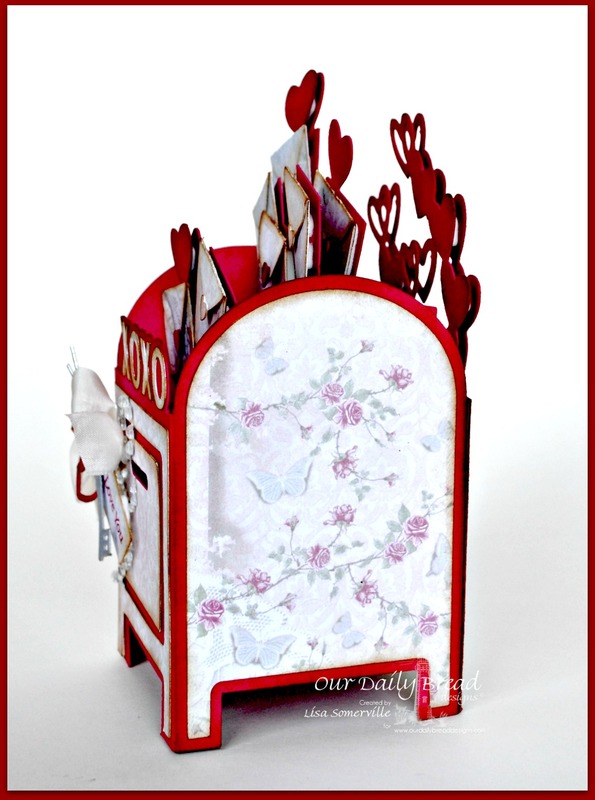 I used SVG Cuts Hearts Aflame SVG Kit along with Our Daily Bread Designs stamps, Custom Dies and pattern paper (sneak peek of Shabby Roses being released March 1, 2015), to create my mailbox. I embellished the front, adding a small stamped tag along with a Heart, Key and Flower die cut (see supplies below), adding Zva Creative Crystal Gems under the tag. I'll be adding this to the Bloggers Challenge To Sir with Love, as I was late getting it posted yesterday! This is super cute Lisa, love it! Such a cute little mailbox. 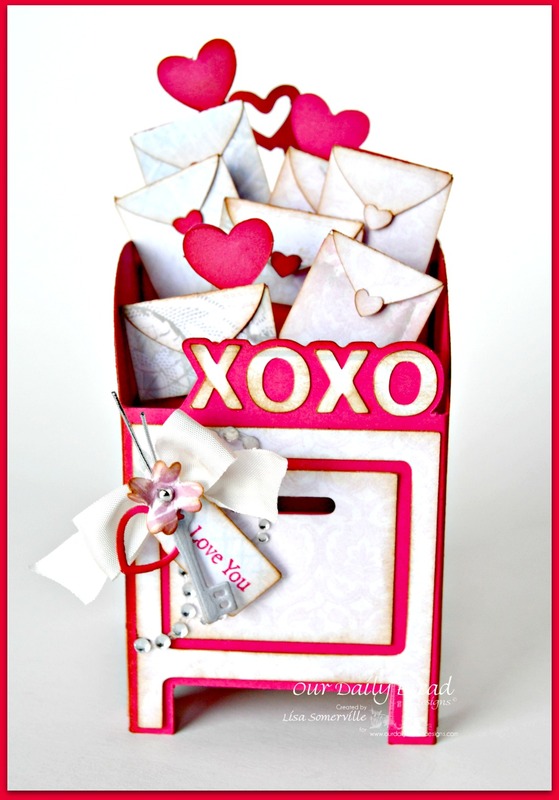 Looks like your Valentine box is overflowing with love.